It could be the autism talking, but I’ve come to the conclusion that I’m just not cut out for city life. Or, perhaps I should change that to: I would love city life if it wasn't for all the people, the noise, the traffic, the dirt, the concrete, the pollution, the distinct lack of greenery, but mostly it’s the people–there’s just too many people. London’s bustling streets represent little more to me than a million hair-triggered-panic-attack-flash-points just waiting to explode my mood into sensory overload. Each stride, a moment closer to an angry confrontation over the right to step on the only square foot of filthy pavement not already occupied by another human walking aggressively towards me, whilst completely engrossed in the four-inch hand-held screen that keeps them connected to the world. In fact, I find the experience of venturing out past the garden gate so emotionally draining, that some days I am barely able to leave the safe confines of my humble abode without succumbing to an extreme bout of paralyzing anxiety. Could it be there's some sort of unwritten law, or subconscious radar signal neurotypicals automatically send out in order to avoid endless collisions with oncoming pedestrians? Perhaps I’m over thinking things again. But there is just so much about daily life that I do not understand, inherent skills that people without autism seem to take for granted. I wish I could be like everyone else and glide effortlessly along London's heaving streets. 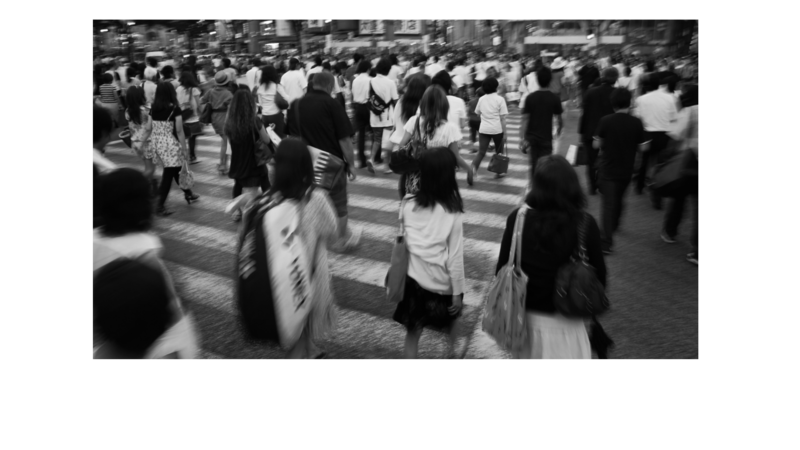 To cut calmly through the rush hour’s tidal wave of unpredictable humanity without a care in the world. But I can’t. There’s just too many things for me to worry about. If I had my way, only those prepared to observe the highest levels of pavement etiquette would be allowed to leave their houses. Punitive fines would be handed out to those not willing to show unconditional respect and humility towards their fellow pedestrians. And furthermore – if I had my way – lengthy prison sentences would be imposed automatically on those who think it’s okay to empty their nostrils onto anywhere I may unwittingly step, or to those who selfishly release their obnoxious clouds of strawberry vape gas into the air I am about to breathe. I just want things to be fair, and for people to follow the rules… my rules. Is that really too much for a sensitive autistic soul like me to ask? 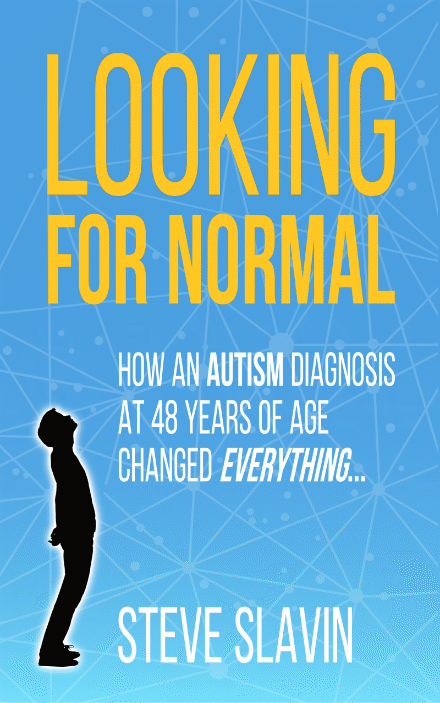 I was diagnosed with High Functioning Autism in 2017, aged 63. I was diagnosed with OCD in my teens. My father also had OCD and severe PDSD. I live in the suburbs in the North East of England, I couldn’t survive in a city because I’m hyper sensitive to noise etc. My G.P. at first refused to refer me for an assessment because she said I was too intelligent. My Psychotherapist insistence finally paid off and I was referred, but it took another year to finally be assessed. I also found no real support but I have coordinated an Autism Awareness Event last year and I’ve organised another Autism Awareness Event for September 12th 2019, in Sunderland. Would you like to come and be a guest speaker? The event last year was very well attended and many people said it was very helpful and inspirational, which is why I’m continuing with it. I went to Paris last year, and I loved it except for all the concrete and people and noise and traffic and noise and garbage and evil smells and uncomfortable chairs and I was ready to come home to my farm on Day 2. But the art was grand, and the coffee divine. I was also impressed by how very nice everyone was after hearing about the “snooty” French. Now I know better than to go to a big city. Do you live in a city? I live in central London and can’t wait to move out to the countryside!